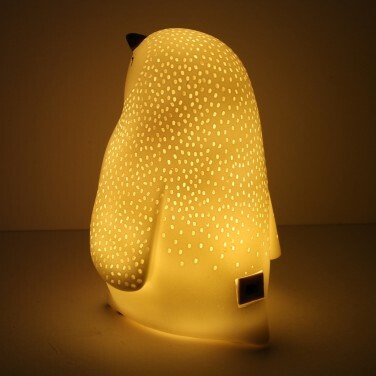 A friendly face for bedtime, this adorable little penguin lamp is lit by warm white LEDs to cast a warm, reassuring glow. 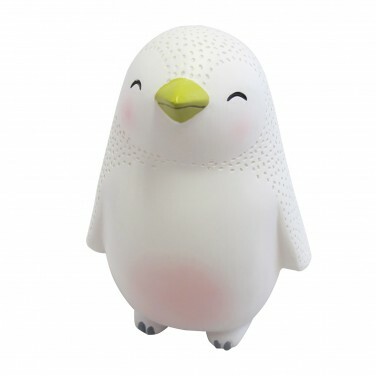 At just 11.5cm tall this mini penguin lamp is all white with a blush to it's belly and cheeks ramping up the cute factor and is just the right size for small hands. 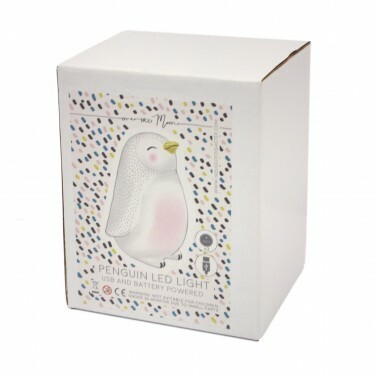 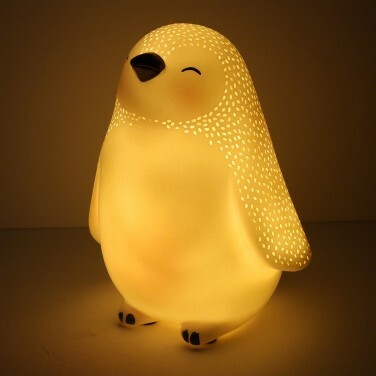 Lit by LEDs, this sweet penguin light remains cool to the touch and battery (batteries included) or USB operated (lead included), it can be placed anywhere in your child's room to comfort at night.